Marco was born of working-class parents on a bleak council estate in Leeds, and his Italian mother died when he was six years old. Today he has become a star chef of international renown, a controversial media celebrity, a national icon of the 1980s and 1990s, and a multimillionaire entrepreneur - all before the age of 40. How has this staggering rise to fame and fortune been achieved? 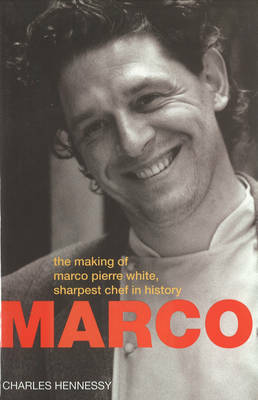 MPW (as he calls himself and many of his new restaurants) is today widely regarded as the best cook in the country, but his astonishing talents and understanding of food are only part of the explanation. As this fascinating book reveals, there are many sides to this complex man which the massive media coverage he has received over the years have never revealed. Charles Hennessy tells the story with insight: the unpromising early life, his first job as a kitchen porter in Harrogate, the epiphany at the age of 17 when he went to work at the Box Tree restaurant in Ilkley, his arrival in London, learning under the Roux brothers, Pierre Koffmann and Raymond Blanc, and the opening of his own first restaurant, Harvey's from whence his fame and fortune grew.